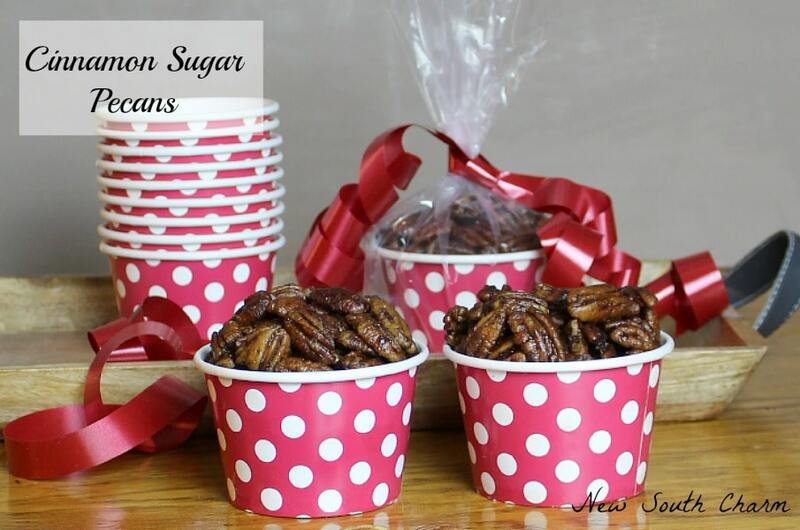 Cinnamon Sugar Pecans are a Southern Christmas tradition. My mother mother made these around the holidays. They made the house smell amazing. 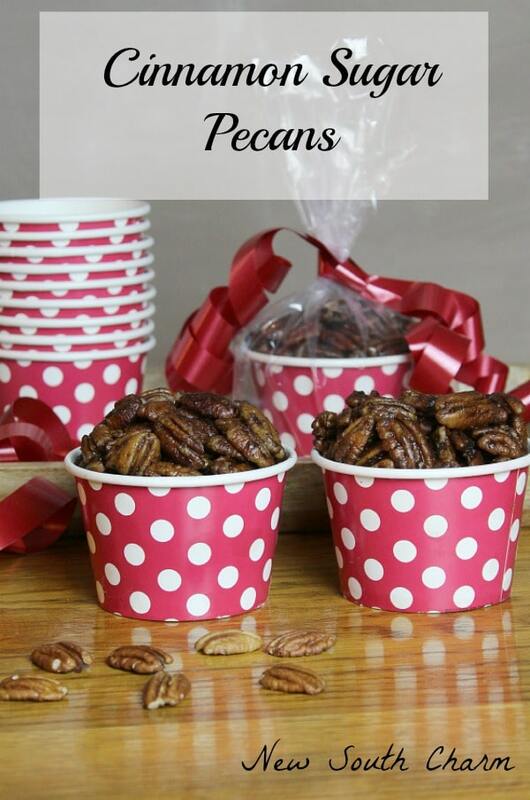 These pecans make a great gift for neighbors and coworkers. They also make a great snack for watching he big game or your favorite Christmas movie. There is a small produce stand up the road from our house. In the summer time I buy fresh fruits and vegetables from them. They have the best squash and zucchini and big plump watermelons. In the fall they sell pumpkins, gourds and mums. Last week, I was driving home from running a couple errands and noticed a sign that said they had fresh shelled pecans. I couldn’t stop thinking about those pecans. I mean they were fresh and already shelled. Plus this time of year I’m always thinking about food that I take to gatherings with family and friends. I recommend using a cast iron skillet for this recipe. Cast iron heats evenly making it easy to melt and combine the ingredients together without worrying about the sugar hotter in one area than another. Begin by melting butter in a large skillet over medium high heat. Once butter is melted add brown sugar, granulated sugar. Stir to combine. Pour the pecans into the skillet. Cook for 5 to 7 minutes, stirring constantly. Spread pecans on to parchment paper to cool. Be sure to separate any that are stuck together. To separate them use forks. You don’t want to burn your fingers, trust me. Ouch! Allow them to cool for about an hour. Store in an air tight container. 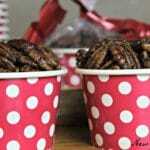 I love the pecans that way,Im making some for Christmas this year! !